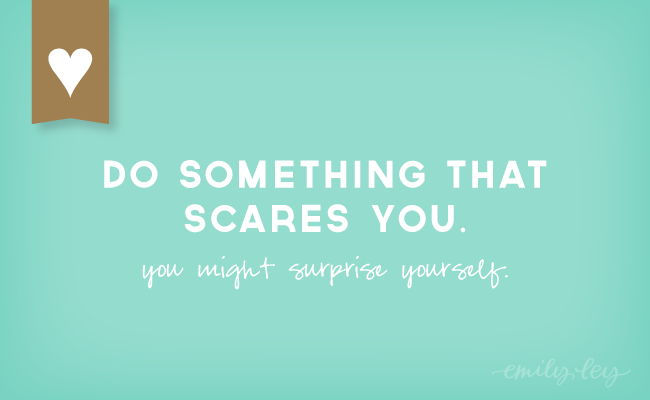 I’m doing something this week that scares me. Why? I’m scared to let people down. I’m scared to NOT be in control. But I’m doing an experiment that scares me… because I KNOW I will feel awesome when I get passed it. So… why ARE we so tethered to our iPhones? No… why am I SO TETHERED TO MY IPHONE? Specifically… my mail app? Answer: My inbox NEEDS me. Those clients need me. Right then. I want to deliver the best client experience EVER (no, really. EVER.) And I do this by being on top of my inbox. Are we really better at what we do because we can react in real time to emails, voicemails, etc? A few times a week, while sitting at my computer, I turn OFF my mail application. I work and design and get amazing things accomplished and created because I’m not distracted. Last week it occurred to me… I’m in and out of my office so much, why am I allowing myself to be SO distracted while doing ANY of these things? Distracted with email while I’m working or distracted with email when I’m playing with Brady or spending time with my family? OR when I should be having ME time? What if I compartmentalized BETTER and designated TIME for email rather than allowing it to interrupt my day SEVEN THOUSAND TIMES? Even more… when I have down time… instead of grabbing my phone to get sucked into some app or Facebook… How awesome would I feel if I spent those few moments chasing Brady around the house? Or reading the six books sitting on my nightstand unfinished? If we’re all so plugged in, when do we get a chance to unplug and refuel our creative tanks? When I’m anxious or caught with a few spare moments, I often grab my phone and catch up on my Reeder app or scan through Facebook or Instagram or Pinterest for a few minutes. The TMZ app is another black hole for me. I often find myself hitting refresh on my mail app to make sure I’m up to date with anyone who needs me… over and over and OVER again throughout the day. I swear all of this fries my brain. A question for you… how awful would it be… if I checked my email ON MY COMPUTER (gasp!!) in the morning, in the middle of the day and before I signed off for the day. Would I have 6 BILLION emails every time? No. Would 80% of those be JUNK or subscriptions or newsletters or advertisements those times that I did see that overwhelming number? Yes. Couldn’t I then flag emails that need attention and delete the rest like I do anyways? Yes. Would the people who might actually have an emergency or some issue that needed immediate response know how to reach me if something urgent or pressing happened before I checked my email? YES! So why on earth am I so plugged in? Tomorrow starts the experiment: “No email accounts on Emily’s iPhone.” I’m finding that the more I simplify and streamline, the better I am to everyone around me. By removing my email accounts from my iPhone, I’ll be able to respond to each email (perhaps not as quickly BUT) with my full attention, from a computer during a time that I am focused. Now doesn’t this make SENSE?! Why have I not done this BEFORE!? Funny story… the last time I did something that scared me… I hired my first employee, the amazing Marissa Kloess, to help me with ELP / ELC… right before I had Brady. One of the best biz decisions I ever made. Looking back it was a no-brainer. Perhaps this will be the same? In other news, we are hard at work on the NEW SIMPLIFIED PLANNER! And I have to say… it is amazing. I will be holding my breath until the first sample is in my hands. Nicole (ELC’s amazing new Assistant Creative Director!!) and I are hard at work perfecting the 2012-2013 Simplified Planner to go to print THIS WEEK! They will have all kinds of new features and will span August, 2012 – December 2013. (Please excuse my terrible iPhone photo of my current Simplified Planner above). 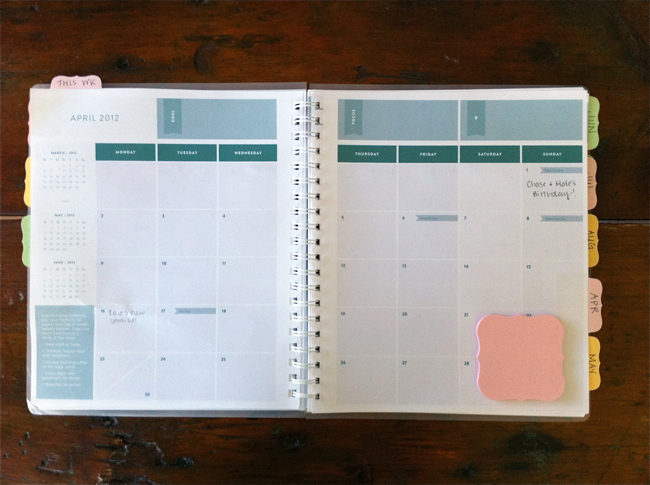 Before we send our final files off to press, we’d LOVE to know what you’d LOVE to see in the new planner. Tweet a link to this post – be sure to mention @emilyley so we see it! Leave a comment below listing one feature/thing you’d LOVE to see in the new Simplified Planner. Sign up to receive news and notification when the new Simplified Planner is available for pre-order! Leave a note here letting us know! Contest ends Thursday, March 29 at midnight EST. The winner will be announced this Friday, March 30 right before we send our files off for the NEW Simplified Planner! PS: Sign up to be notified when pre-sales are open! A very limited number of Simplified Planners will be released. A small portion of these will be available wholesale. To inquire about this wholesale opportunity, please contact me directly. Congratulations to Lindsey DeLaMare who won the contest! !